A parliamentary report of 1777 recorded parish workhouses in operation at Keynsham (with accommodation for 6 inmates), Brislington (12), Bitton (25), and Mangotsfield (60). What is now Priston's village hall served as the parish workhouse until 1838 when it was extensively altered and converted to school. Priston former parish workhouse, 2004. Bitton former parish workhouse and pin factory (right) with constable's house and lock-up beyond, 2004. County of Somerset: Brislington, Burnett, Compton Dando, Corston, Kelston, Keynsham (2), Marksbury, Newton St Loe, North Stoke, Priston, Queen Charlton, Saltford, Stanton Prior, Whitchurch. County of Gloucester: Bitton (2), Hanham, Mangotsfield (3), Oldland, Siston. Later Additions (from 1894): Hanham Abbots, Kingswood. The population falling within the Union at the 1831 census had been 20,205 with parishes ranging in size from from Burnett (population 82) to Mangotsfield (3,508). The average annual poor-rate expenditure for the period 1833-35 had been £7,040 or 7s.0d. per head of the population. 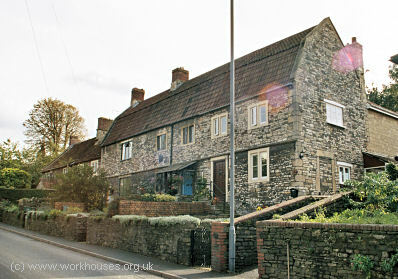 A new Keynsham Union workhouse was erected in 1837 at a site to the south of Keynsham. The Poor Law Commissioners authorised an expenditure of £4,960 on construction of the building which was intended to accommodate 300 inmates. The workhouse was designed by William Armstrong and was based on the model "square" plan published by the Commissioners in 1835. The site location and layout are shown on the 1915 map below. 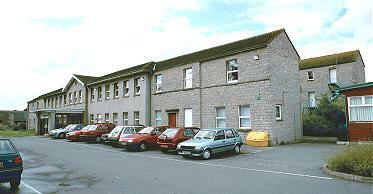 Keynsham entrance block from the south-east, 2000. Keynsham from the north-east, 2000. A detached infirmary block was erected at the west of the workhouse in the latter part of the nineteenth century. It was extended at its northern end in 1903. 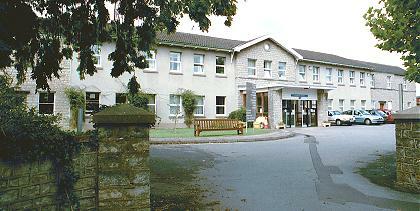 The workhouse site later became Keynsham Hospital. The surviving workhouse buildings were demolished in July 2007. Somerset Heritage Centre, Brunel Way, Langford Mead, Norton Fitzwarren, Taunton TA2 6SF. Holdings include: Guardians' minute books (1837-1930); Admissions and discharges (1836-1930, with gaps); Births (1836-90); Baptisms (1890-1915); Creed register (1869-1933); Offences and punishment book (1838-95); etc.